If you’re on the fence between the Tuft & Needle and Yogabed mattress it’s no surprise. Both of these mattresses are great options, designed to fit the needs of most sleepers. That said, there are significant differences in terms of feel, construction, and design. 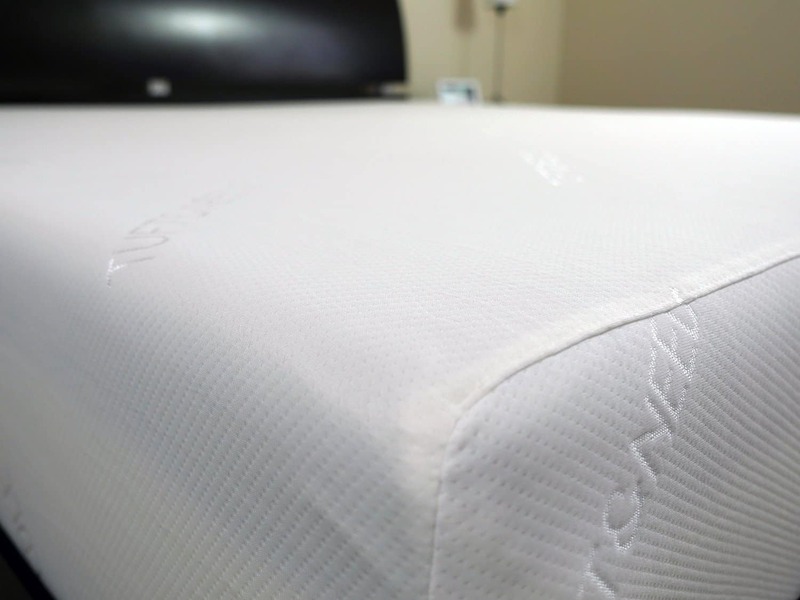 Continue reading for our full Tuft & Needle vs. Yogabed mattress review below. Or, if you prefer the quick version jump down to our review summary and see whether the Tuft & Needle or Yogabed mattress is best for you. Take $100 off your purchase by using the code SLEEPOPOLIS! 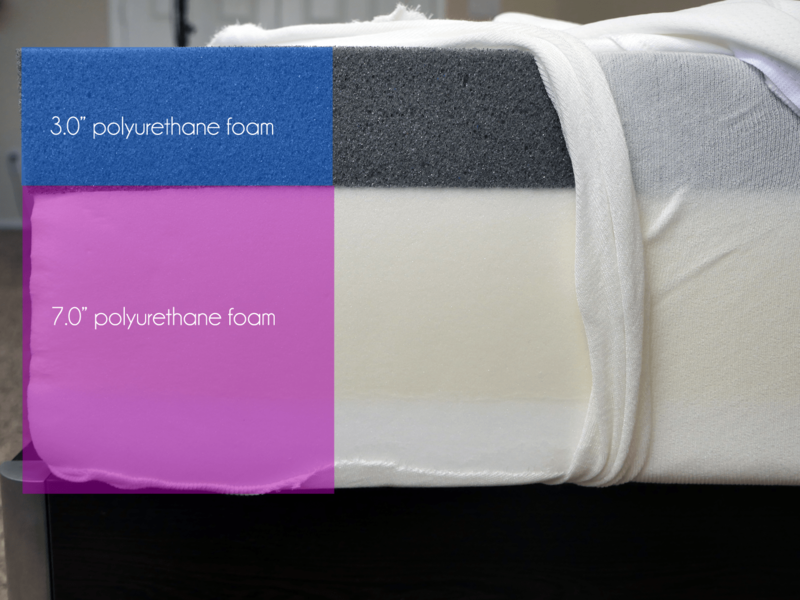 The Tuft & Needle mattress is a 2-layer foam mattress. Top layer (comfort + support) – The top layer acts as both the support and comfort layer. The top layer is a 3 inch polyfoam. It’s designed to provide consistent support, buoyancy (IE, very little sinkage), and great cooling. Bottom layer (foundational) – The bottom layer is a 7 inch support foam base. This is a high-density foam designed to remain breathable and act as a foundation. The vast majority of the comfort, support, and cooling is handled by the top 3 inch layer. The cover is minimalist. It’s an all white, thin, and stretchy fabric. The only aesthetic touch added is the Tuft & Needle logo. 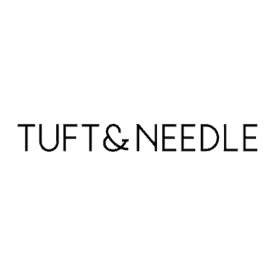 Tuft & Needle has definitely elected to focus their energies more into the functional components of the mattress (IE, the foam, comfort, support, cooling, etc.) vs. the aesthetics, which is why the cover is rather understated. The Tuft & Needle has only a moderate level of sinkage / hug. In a normal lying position you will not sink very deeply into the mattress (1-1.5 inches of typical sinkage in my tests). This is by design and helps to keep the mattress from wrapping around your body, keeping you and the mattress cooler. It’s a 6-6.5 out of 10 on the firmness scale (where 10 is the most firm). 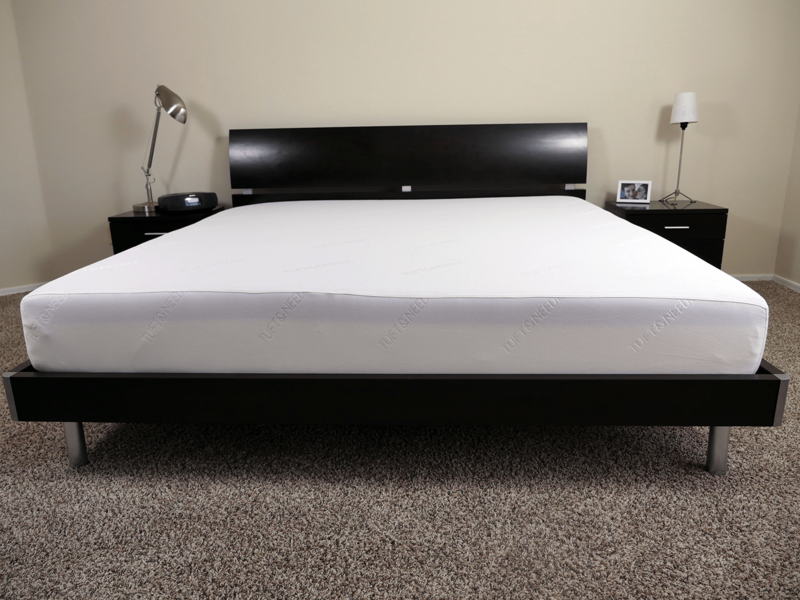 The Tuft & Needle mattress has pretty good support in all sleeping positions. Tuft & Needle’s trial period is 100 days, which is fairly typical of most online mattress companies. The warranty is also standard at 10 years. If for whatever reason you decide the Tuft & Needle is not a good fit for you refunds are very simple. Drop a Tuft & Needle customer service rep a note and they will help schedule a pickup of your mattress and refund 100% of your money once that pickup is made. The mattress ships in 1-5 days via FedEx. Shipping is free anywhere within the continental United States. The Yogabed mattress is built from 4 different layers of foam. The top 2 layers of the Yogabed are custom foam creations developed for and by Yogabed. Top layer (comfort) – The top layer is 1.0 inches of Yoga Instant Response foam. 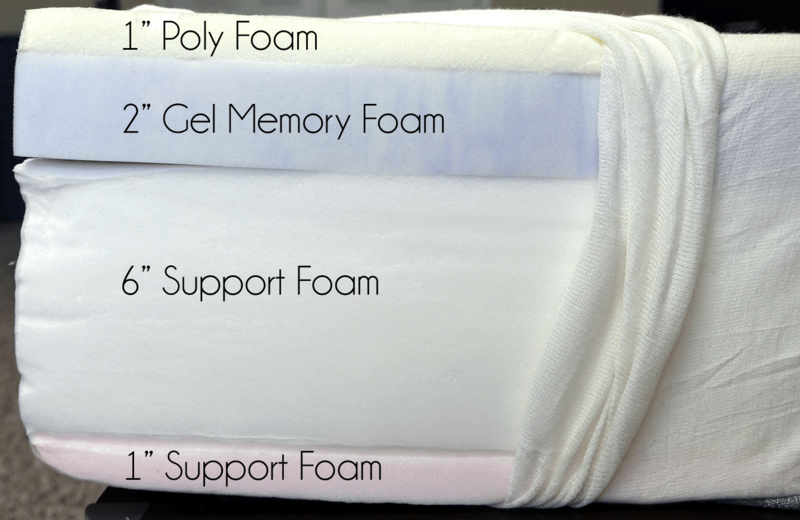 As the name suggests, this foam is highly responsive (IE, it moves with and adjusts to you as you move during the night). It has a similar feel to latex in terms of bounce, cooling, and comfort. It’s designed to provide great comfort and pressure relief. 2nd layer (pressure relief) – The 2nd layer is 2.0 inches of YogaGel. This gel layer provides most of the cooling for the mattress. It helps to pull heat away from the top of the mattress and dissipate that heat through the side and bottom of the mattress. Additionally, it provides deep compression support. 3rd layer (support) – The 3rd layer is 6.0 inches of support foam. This is a breathable high-density foam layer designed to provide support and a strong foam base. Bottom layer (foundational) – The 4th layer is 1.0 inch of super high-density foundational foam. To helps give the mattress shape and reinforces the foundation. The Yogabed cover is one of the more unique covers among the family of online mattresses. It has both textured and smooth fabrics on top, creating a diamond and teardrop design. Beyond the aesthetics, the coolest part about the cover is how easy it can be removed. A zipper runs along the full length of the mattress, allowing the top portion to quickly and easily detach (takes about 30 seconds to take off and put on). You can drop this piece in the washer for easy cleaning. The Yogabed is a 6 out of 10 on the firmness scale (with 10 being the most firm). The feel of Yogabed is similar to latex mattresses. It has a nice bounce factor and is highly responsive. The Yogabed has 1-1.5 inches of sinkage in a normal lying down position. I would not describe the Yogabed as a mattress with excessive “hug” around your body, but there is fair degree of contouring around your body. 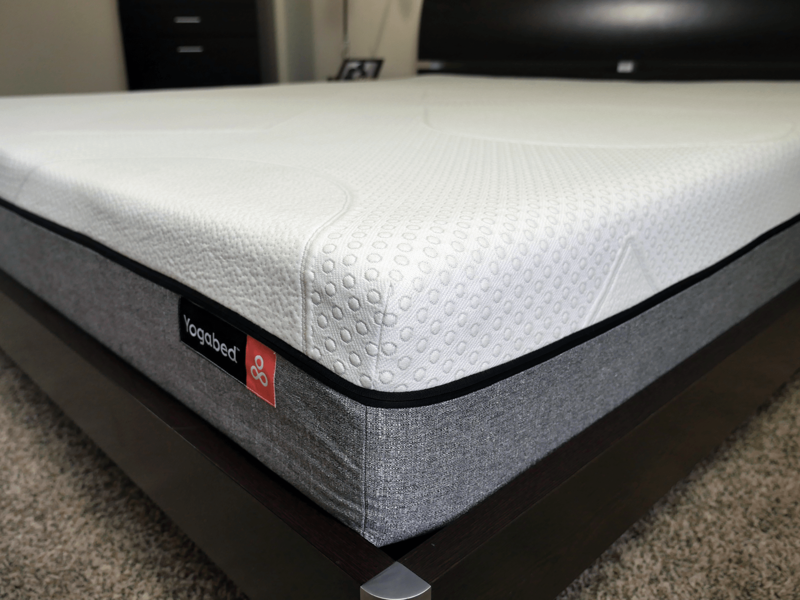 Despite the hug (which can cause some mattresses to sleep hot), the Yogabed sleeps cool due to the layer of gel foam pulling heat away from the top layer and their breathable cover and other foams. Support is consistent and stable. I slept in several different positions during my sleep test, all of which I felt adequately and appropriately supported. 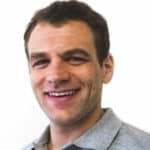 Yogabed comes with a 365 day trial, which is among the highest within the online mattress industry. The warranty is 10 years. Refunds are very simple. 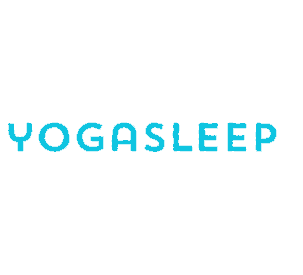 If you decide to return the Yogabed all you need to do is contact their service department who will work with you to schedule a pickup of the mattress (the mattress gets donated or recycled locally). Once the pickup is complete they will refund 100% of your money. Shipping is free within the continental United States. All Yogabed mattresses come compressed in a large box straight to your front door. Shipping times vary based on your location, but are typically 3-10 days. What is the right mattress for me? Tuft & Needle or Yogabed? If I had to pick a winner between these two mattresses I would have to go with Tuft & Needle. This was not always the case though. When I first tested T&N and Yogabed I liked Yogabed better. However, Tuft and Needle’s changes to their mattress over the last 2 years have softened it up considerably. Yogabed has also had changes that made it a bit softer, however, with those changes brought new support issues. As a result, Tuft and Needle is now my winner vs. Yogabed. Hi Logan — Are you comparing here the MINT or the original Tuft and Needle? Is the original even available? I am torn between Mint and Yogabed. I’m about ready to toss a coin! Any advice?